We bring forth premium quality Stainless Steel Vessels in the market. These Stainless Steel Vessels are used in chemical industries for processing, packaging, storage, and transportation of chemicals. These Stainless Steel Vessels are manufactured from quality grades of stainless steel which makes them strong and durable. 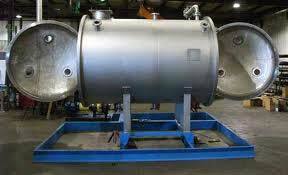 We offer these Stainless Steel Vessels at competitive prices.